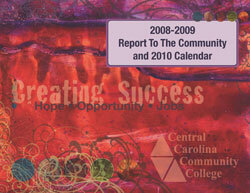 The primary mission of the Central Carolina Community College Foundation is to support the needs of the college in order to advance its academic mission in areas not covered by the state budget. 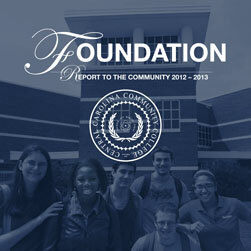 Contributions from the Foundation help fund the needs of faculty and staff and also provide financial assistance to students. 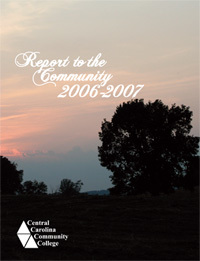 The CCCC Foundation was organized in 1988 to ensure that the college would continue to excel and build on its history of innovative curriculum development and community service. 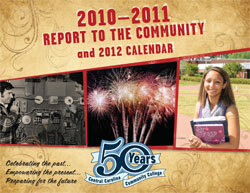 The Foundation is a separate, non-profit organization that receives, holds and disburses funds for the benefit of CCCC. To The direct management of the Foundation is vested in its Board of Directors which is composed of business, professional and community leaders that represent the college's three county service area - Lee, Chatham and Harnett. 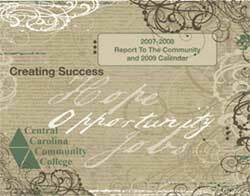 Chartered in 1988 as a non-profit, 501(c)(3), the Central Carolina Community College Foundation was established to support the strategic plans of the College by providing the additional resources necessary to advance its academic mission. 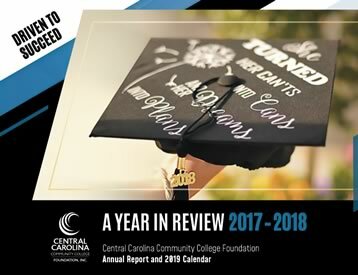 The Foundation enhances the College's image within the community, broadens its base of support, and provides it with a measure of excellence through the Foundation's support of the varied educational and student service program offerings.